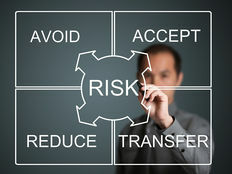 Mutual funds can be vulnerable to many types of risks. The type and amount will vary according to the type of fund in question, but factors such as market action, interest rates, political legislation and currency values can all potentially affect the performance of any type of instrument that invests or depends on them. But the drawdown factor has become one key type of risk that is now receiving growing exposure by the financial media because of its relevance to investors. Learn how this risk can affect you and when you need to look for it. In its simplest form, drawdown risk is the measure of how long it takes for a mutual fund or other investment to recoup its losses after it falls from a previous high. For example, if a mutual fund reaches $56 a share in price and then pulls back to $30 per share during a correction, then the drawdown risk is measured by the length of time that it will take for the fund to reach $56 per share again. Although this concept is relatively straightforward, it has seldom been addressed in a technical sense because, for all practical purposes, it basically represents the negative half of standard deviation. 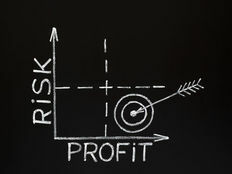 SD measures a fund or investment’s total volatility, while drawdown risk only takes into account the drops in price over time in order to compute downside risk. Be sure to also read the 7 Questions to Ask When Buying a Mutual Fund. Drawdown risk becomes more and more relevant to investors as they approach retirement age. In most cases, the drawdown risk increases with a fund’s general risk and volatility. But some funds are able to recoup their losses much more quickly than others, and this can be a key indicator of how well the fund is managed. For example, a fund that can lose over half of its value in a short time and take years to recoup this is probably not very well managed. But this kind of loss can be devastating for someone who is about to retire, and so this type of risk needs to be carefully assessed in order to gauge its potential impact in an investment portfolio. 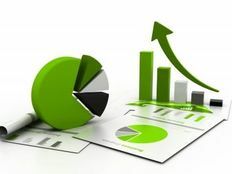 If you are going to retire next year and 25 percent of your savings are held in an aggressive growth fund that has done very well over the past several years, then that fund may well be due for a substantial retracement. If that happens, will you be able to maintain your projected lifestyle in retirement without having to work for a while longer? Drawdown represents the maximum loss taken from a peak in portfolio value to a subsequent low before a new peak in value is achieved. The highest-volatility group, Group 9, incurred losses of as much as 68% during the 1983–2003 period, whereas the lowest-volatility group, Group 1, had a maximum drawdown of just 15%. Obviously, a 68% drawdown that lasts for 20 years is not a smart risk for most people to take in their retirement portfolios when they get to be in their 50s or above. That is more appropriate for those in their 20s or 30s who are decades away from retirement. One of the more damaging effects that drawdown risk can have is that those who are hit with a hard loss will often be forced to sell their depressed holding at a substantial discount if they need to reallocate this month into something safer. Furthermore, they will not even be able to claim this as a taxable loss if it happens inside a tax-deferred retirement plan. This double whammy can serve as a warning for older investors who carry aggressive holdings in their portfolios. Although they should still probably have at least some exposure to equities in their holdings, they need to understand the real impact that a severe market downturn can have on their lifestyle. This effect can often be seen in the maximum drawdown, which is the largest price drop that an investment has experienced since its inception. For example, if a mutual fund in your portfolio dropped in value by two-thirds during the Subprime Meltdown in 2008, has it recouped those losses yet? And will you have time to let it grow back again if the market were to experience a similar correction this year? Learn more about the 7 Behavioral Biases Mutual Fund Investors Must Avoid. Drawdown risk is a real measure of how long it will take you to recoup a substantial market loss from trough to peak price. It can be applied to mutual funds in the same manner as any other investment and is being used more by financial analysts and planners in the wake of recent market turbulence.